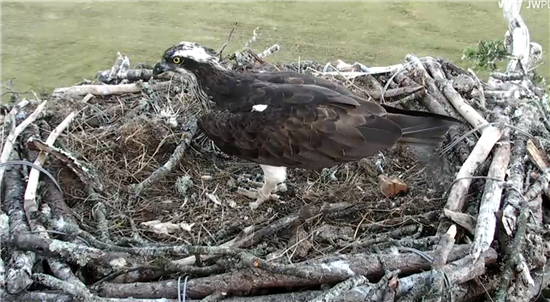 Just moved enough to see it is KS2 the Male. Mrs G watches as both KS 1, in the centre and KS2 eat from individual fish. Mrs G wondering where everybody's gone. 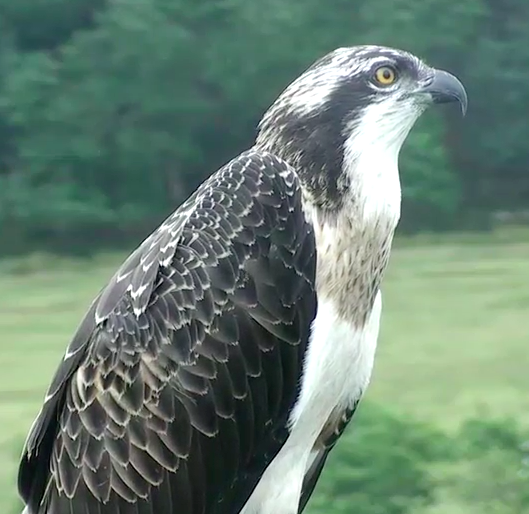 Camera was focused on an Osprey (adult?) sitting in an evergreen tree, then scanning, and then on an Osprey (Mrs G?) tidying the nest and eating scraps. 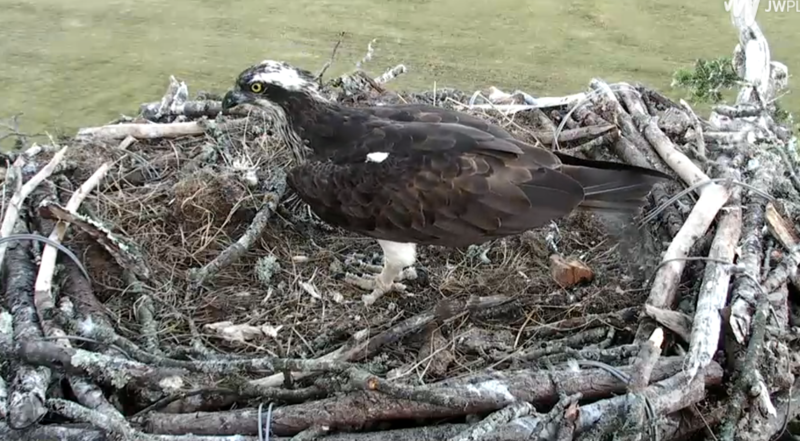 Mrs G on the nest with a huge fish. 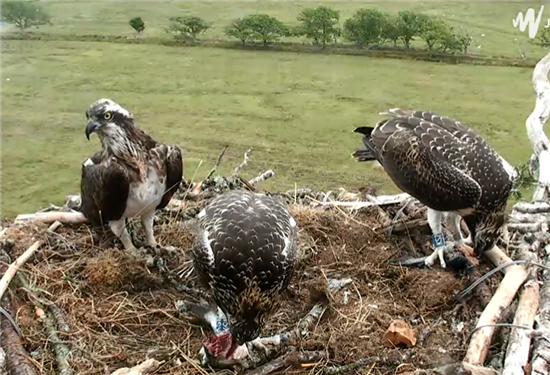 KS 2 is being fed. Scene is empty. First time this season for me. These will only be in the area Patily. Just not on the nest.